This fun word game is great for kids who like to play with words! 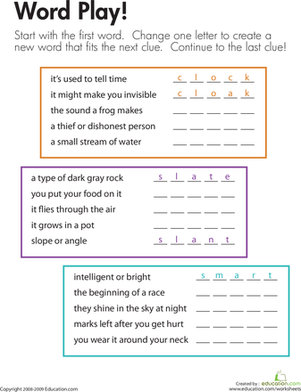 Each game starts with a clue and the word that is the answer to the clue. To find the answer to the next clue, kids need to change one letter in the previous answer. For example, if clock is the answer to the first clue, changing a "c" to "a" would make cloak, the answer to the second clue. 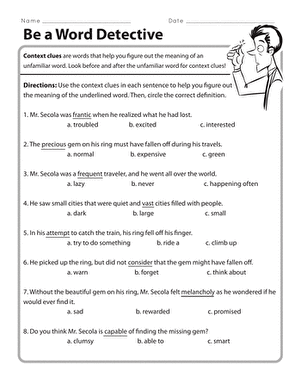 Kids completing this worksheet have fun as they exercise thinking, vocabulary, and spelling skills. A suffix is a word part that changes the meaning of a word. 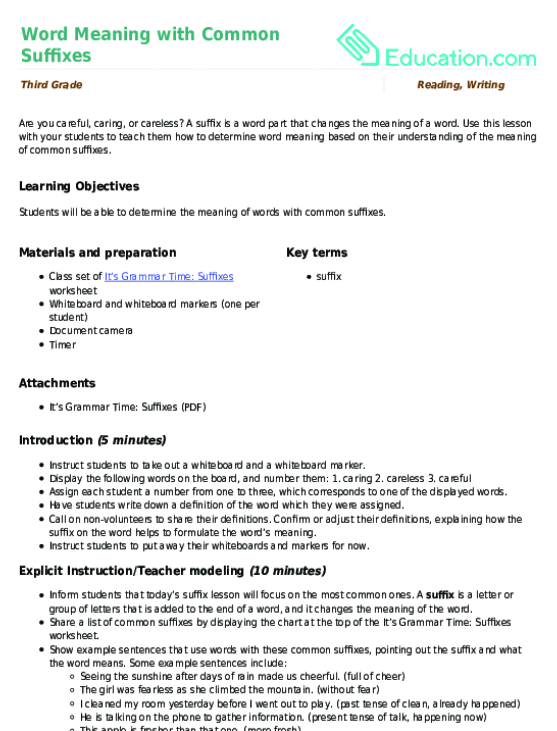 Use this resource to assess your students’ knowledge and understanding of prefixes and suffixes and how they affect word meaning. 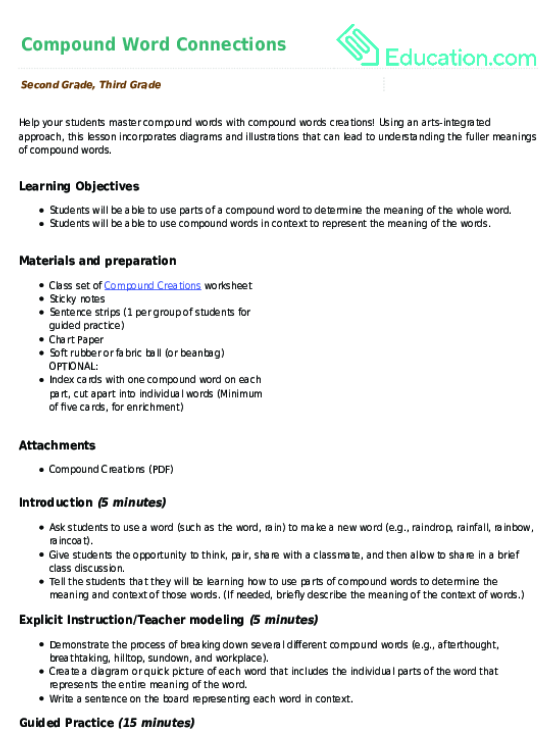 Encourage students to play the opposite game in this engaging exercise involving synonyms and antonyms.